Dry skin is one thing … but the severely dry skin that causes flaking, peeling, and even painful cracking known as heel fissures – that’s another thing, entirely. While there are many causes of deeply dry skin, including genetics, age, and health conditions like eczema and diabetes, the result is the same for everyone. If you are suffering from severe dry skin on your hands or feet, you’re not alone. Take heart: There are tons of at-home options to re-hydrate and restore your dry, damaged feet. Here are 10 natural remedies for dry feet – that actually work! Immerse your feet in lukewarm water and 5-10 drops of tea tree essential oil. This is a great way to clean feet and apply the medicated power of the essential oil of Melaleuca (tea tree) to hard-to-reach areas of your dry feet. Simply soak your feet in a footbath 3-5 times a week, and always completely dry your feet before putting on socks or footwear. Vinegar may be a little stinky, but it is a proven at-home remedy to soften dry feet. Vinegar’s natural acidity can help to remove old, dead skin cells, encouraging the growth of new skin. To use vinegar as an exfoliant, simply fill a basin with vinegar and allow your feet to soak for up to 10 minutes. Then, gently scrub your feet with a coarse rag to remove lingering dead skin, revealing softer, smoother feet. NOTE: Apple cider vinegar is the best type of vinegar to use, as it is the only type that contains Mother of Vinegar. This household disinfectant has been used for thousands of years to kill pathogenic bacteria and fungus. Use the fizzing bubbles on dry, cracked, and peeling feet to reduce the risk of an Athlete’s foot infection. Simply pour the liquid onto your feet over a basin 3-5 times a week. Avoid this process if your dry skin is so bad that it causes bleeding. This natural remedy has been proven to effectively restore dry, damaged skin by promoting collagen production.1 Traditionally used to heal burned skin, aloe vera is also a wonderful tool for repairing skin damage caused by dryness. Aloe’s antibacterial properties also help reduce the risk of common infections. These salts relax tired muscles due to their high mineral content. Adding Epsom salts to your footbath can take your soak to the next level. Just pour in ¼ of the salts into your next footbath to relax painful feet while also cleaning deep into cracks. The antibacterial power of Epsom salts also helps to reduce the risk of common infections that can worsen dry skin. This delicately fragrant floral water is aromatherapy bliss. 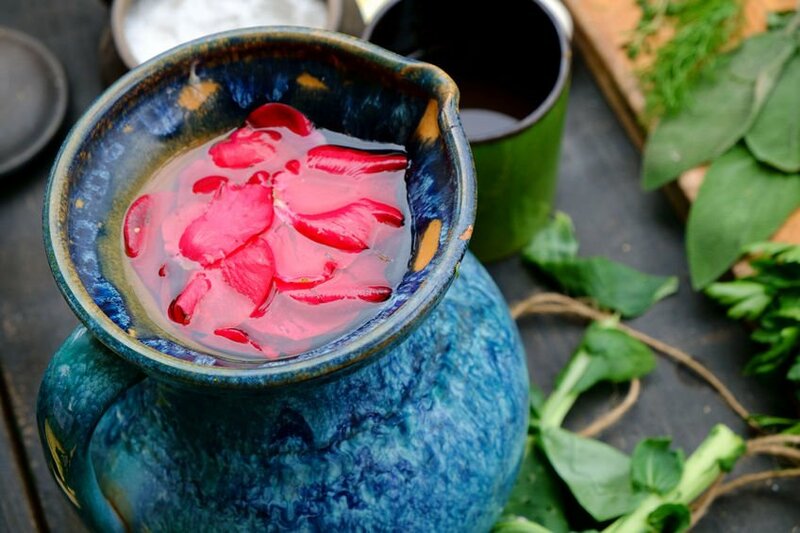 Not only that, but rosewater also provides a good source of naturally occurring vitamins, including A, B3, C, D, and E, to restore health and hydration to damaged, dry skin. Citrus fruits are one of Mother Nature’s best sources of Alpha-Hydroxy Acids (AHA). These compounds are also used in luxurious spas for chemical peels, but you can use them at home to remove old, dead skin cells on your dry feet. Simply cut a lemon, orange, or grapefruit in half and rub the juices on the driest areas. This will help to break down hardened corns and callouses, making re-surfacing easier. 1. You’ll need to start by carefully removing the toughest parts of the calloused heels with scissors or nail clippers. 2. Then, use a pumice stone or metal nail file to further smooth the skin. These are best used right after a shower or bath when your skin is clean and the skin on your feet is much softer. 2. If your cracks have been bleeding, or are very deep, it’s a good idea to apply an antiseptic ointment and cover the area to avoid infection. This will also help to lock in moisture. 3. If the area isn’t quite this bad, or your cracks have begun to heal a little, you can start to use a healing balm. Then slip on some 100% cotton socks for the night. This balm can be applied twice a day. 5. It’s also often recommended that you buy a set of custom insoles (or orthotics) to help reduce any pressure on your heels. You should also try to wear closed in shoes with cotton socks as much as possible. Avoiding flip-flops and open sandals. Dry skin on your hands and feet isn’t just unsightly. It can also be painful and downright dangerous. As dry, cracked skin is much more prone to bacterial and fungal infections, rehydrating and repairing dry skin of the feet is a must. If these 10 natural remedies for dry skin don’t work, try the rapid-healing power of FootMedix foot cream. Formulated specifically for your dry feet, FootMedix increases circulation to even the most hardened corns and callouses, restoring health to areas with deep, painful fissures fast and effectively. 1.Soyun Cho, M.D., Ph.D., Serah Lee, M.S. 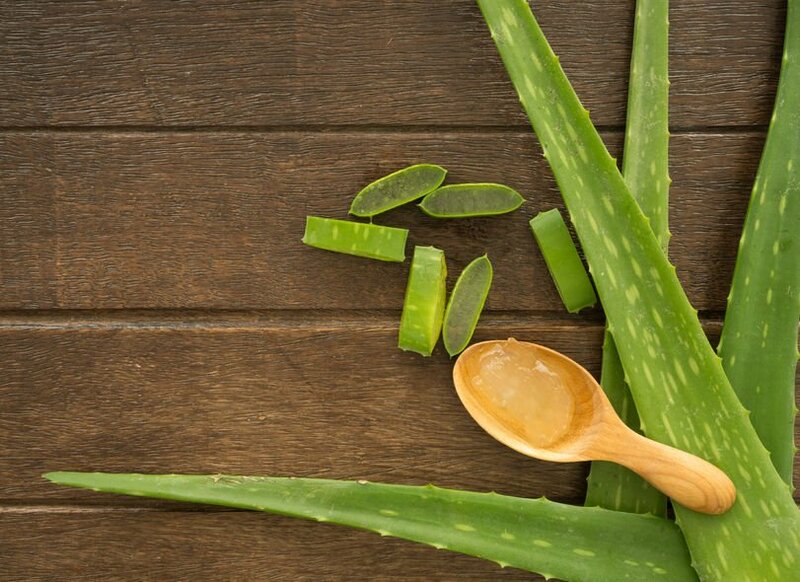 Dietary Aloe Vera Supplementation Improves Facial Wrinkles and Elasticity and It Increases the Type I Procollagen Gene Expression in Human Skin in vivo. Ann Dermatol. 2009 Feb; 21(1): 6–11.